The Forgotten Queen is a new series that belongs on everyone’s monthly reading lists. This series feels like a great classic Valiant series with strong lead characters, dark themes, and detailed storylines that are always evolving. Tini Howard is a fantastic writer and fits right in at Valiant Comics. The first issue of The Forgotten Queen definitely had me invested in these characters and this story, so I was very excited for the second issue. This second issue still blew me away by revealing so much of the story and so much about the characters. I am officially as invested in this series as I possibly can be, especially because of the mind-blowing cliff-hanger. 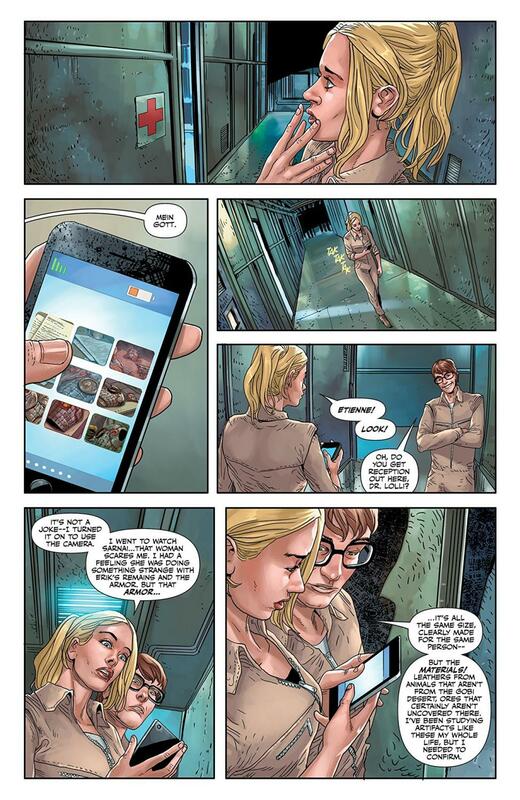 The Forgotten Queen #2 added an exciting layer to this complicated story by showing us a situation where this War-Monger that we are following is faced with love. The theme of love and its complications is almost always interesting, but it is more so in this story. This “witch” who travels and causes wars everywhere she goes, is in love. A lot of writers could have taken the basic form of this idea and made it stale. 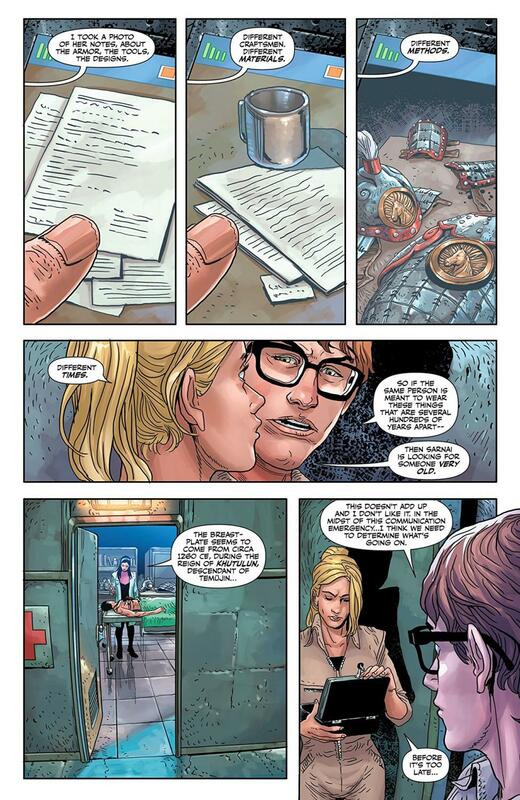 But Tini Howard is a very talented writer who took this idea, made it more exciting, and executed it beautifully. Speaking of the issue’s visuals, The Forgotten Queen #2 excels at going back-and-forth between different time periods. I enjoy this style of storytelling when done right, and this team does it right. 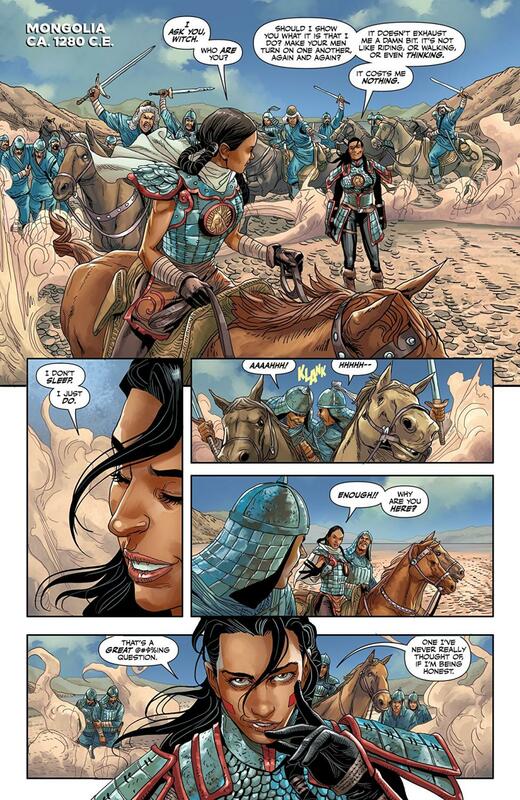 This is due to Tini Howard’s writing, Amilcar Pinna’s artwork portraying the different time periods, and colorist Ulises Arreola’s colors, which completely set the theme of each period. This second issue is captivating because of its sadness that perfectly sits alongside its bloodshed which sits alongside its overall beauty. 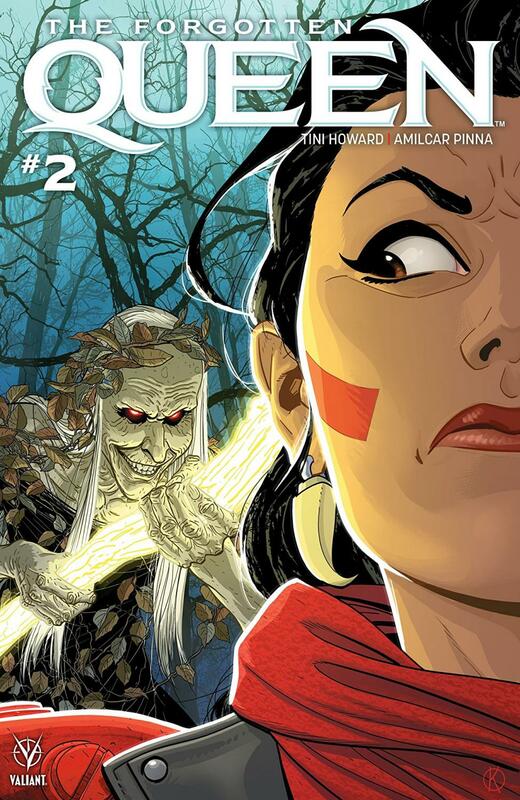 The Forgotten Queen #2 is very fresh while also tapping into an incredible classic comic book quality.